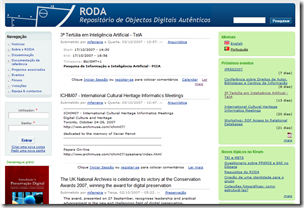 -Memo of a presentation at the 2007 edition of the Internet Librarian International conference held in London (UK), October 8th and 9th, at the Copthorne Tara Hotel, by Júlio Anjos, Member of the Executive Board of INCITE: Portuguese Association for Information Management (est. 1985). 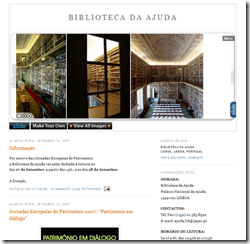 Question: Is “Biblioteca 2.0” different from “Library 2.0”? 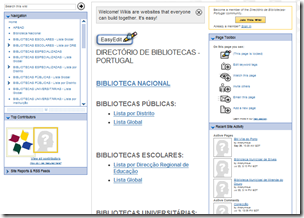 Possible conclusion: Library 2.0 is unavoidable wherever Web 2.0 is a common user experience and worldvision. 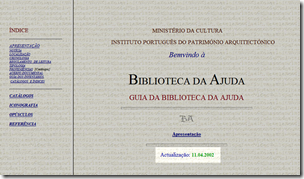 Question: Is there a Library 2.0 phenomenon in Portugal, lets call it "Biblioteca 2.0"? 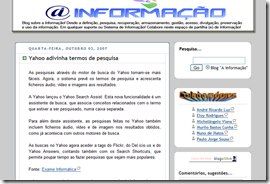 Being Portugal a developed country, with a very good standing among other developed countries in terms of access and use of Internet by broadband channels, what is the impact of the Web 2.0 phenomenon among Portuguese Information Professionals (a.k.a. Librarians) and Information Services (a.k.a. Libraries)? Did it generate the emergence of web 2.0 artifacts among Library and Information professionals and practices? 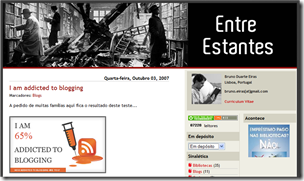 Blogging is considered a risky activity by most professionals. 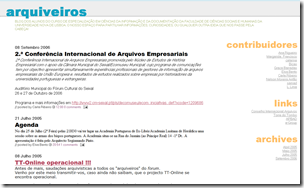 Some full LIS blogging experiments in full swing. 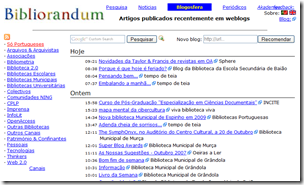 Late 2006: A librarian/scholar proposes to hold a round table of bloggers at the 2007 APBAD conference, and the proposal is accepted. 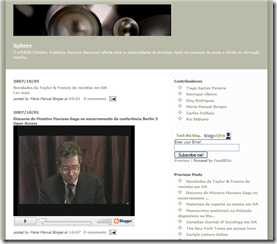 Is the urgency of adoption of the Library 2.0 attitude different between Europe and the US? I believe not: “Patron 2.0” is ubiquitous and depends on the penetration of internet in the society. However, although the urgency is the same, the speed of adoption is not. 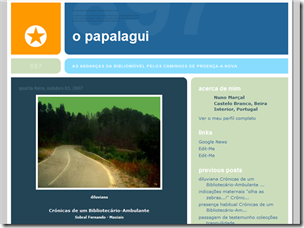 Even in Portugal, the speed of adoption is very different between School Librarians and the remaining specialties: This seems to have been caused by the orientation of School Librarian’s training in Portugal, during 2007, which was focused on, and made use of, Web 2.0 tools. 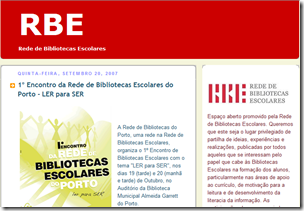 Result: from the 46 LIS Portuguese blogs (with activity in the month of October 2007) 16 are School Library Blogs (33%). 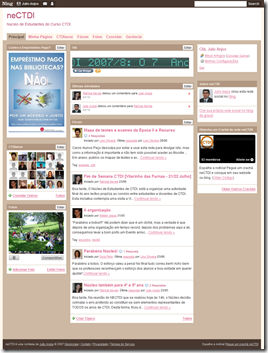 Use of Web 2.0 tools to train the next generation of information professionals TOGETHER WITH competence development with Web 2.0 tools for latter practical implementation in the workplace (a library or a corporate information service). 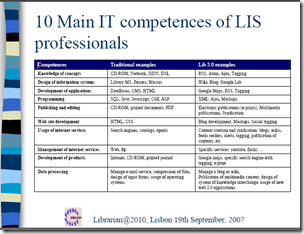 Developing competencies in Web 2.0 tools to the current workforce, at all levels possible. 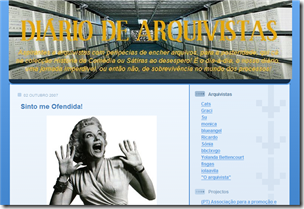 Most practitioners think Library 2.0, and sometimes even Web 2.0, is just Blogs. 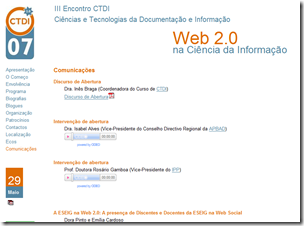 Lots of confusion on the CTDI’07 meeting when wikis and podcasts declared web 2.0 tools. 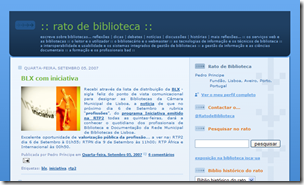 Em Library(ies) 2.0 fgaltou um exemplo de bibliotecas escolares (apesar de ter apresentado o blogue da RBE). 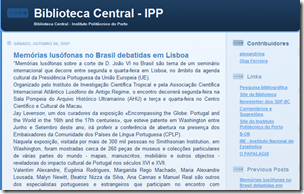 Mas como passou pelas públicas, pelos não oficiais, pelas universitárias… e até ficou a faltar uma imagem para ficar simétrico… uma biblioteca escolar vinha mesmo a calhar. 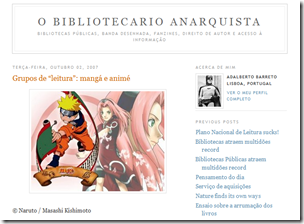 Afinal tb são bibliotecas!